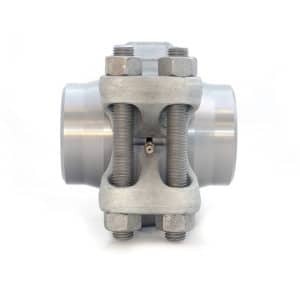 The KaMOS® method permits Hubs integrity to be tested from the outside before system pressure is applied. In the safety equation this will offer great benefits. 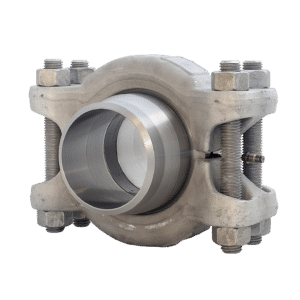 It will also in many cases reduce the test time for normal pressure and leak tests because certain repetitions of the tests in case of leaky hubs will be avoided. The KaMOS® test method is based on pressurizing the annular space between the Seal Ring Rib and Seal Ring Lip using test gas. If no pressure loss is recorded during this pressurization, the seal is deemed tight. 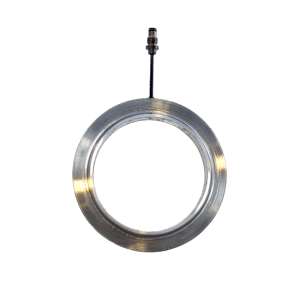 The test medium that is applied to the annular space is applied by using KaMOS® Test Equipment (containing a reservoir, a manometer and hoses), a simple portable test equipment. KaMOS® Test Equipment is easy to handle and will make it possible to leak test Clamp Connector on a one-off basis without pressurizing entire systems. The KaMOS® test system will also check the Seal Ring Rib and Seal Ring Lip for tightness. Other leak testing methods that is used today cannot distinguish these two sides, only if it is tight or not.